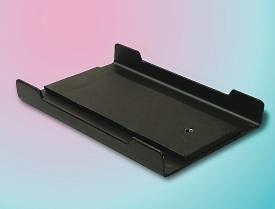 A variety of economical bases, stands and supports that can be used to build a solid structure for support of laboratory equipment and instruments. 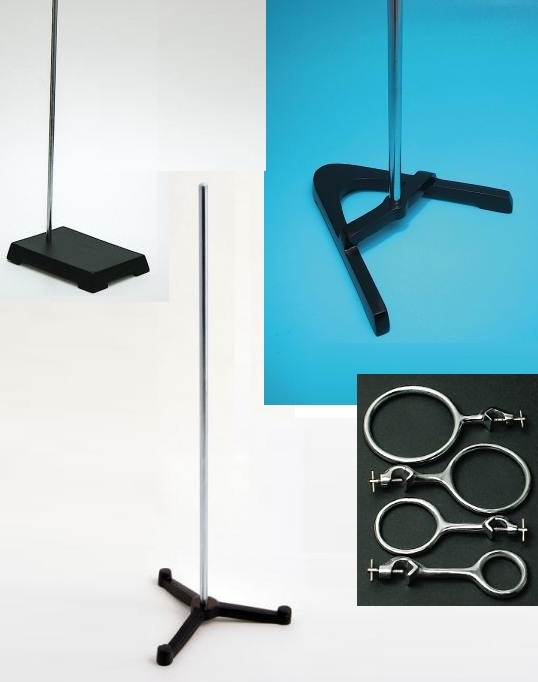 Standard Support Stands for general applications have base made of stamped steel and a black enamel finish, supplied with a removable zinc plated steel rod. 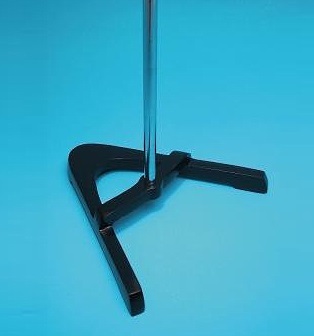 Heavy Support Stands have an added steel plate that adds 50% more weight than the standard version and a more deeply threaded rod hole for more stability, supplied with a removable zinc plated steel rod. 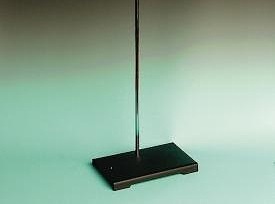 Cast Iron Support Stands have a heavy cast iron base with black enamel finish and are supplied with a removable zinc plated steel rod. 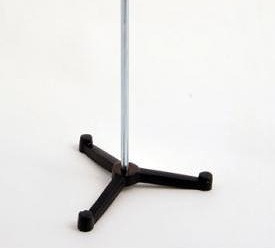 Two-Hole Support Stands are made of stamped steel featuring 2 tapped holes, with the hole at the center of the shorter side intended for ring stand use while the hole at the centre of the longer side can be used for titrations, specific gravity determinations and other applications. Supplied with a removable zinc plated steel rod. 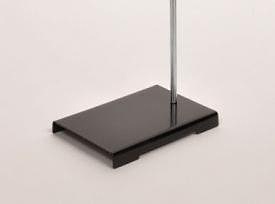 TSR Triangular Support Stands are made from heavy cast iron with black enamel finish and supplied with a zinc plated steel rod. 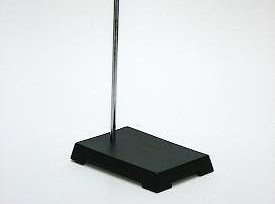 Plastic Support Stands made of non-corrosive molded plastic, supplied with a polypropylene coated metal rod. SRC Support Rings are made of zinc plated cast iron and supplied with clamps, supplied in packages of 5.